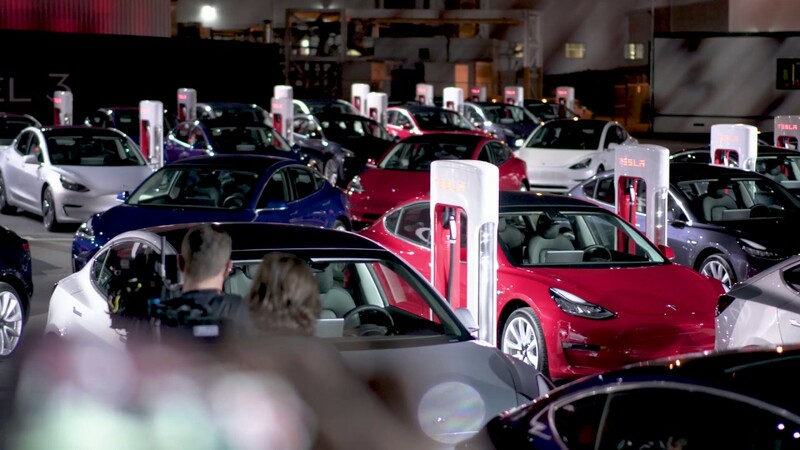 Tesla increased Dual Motor All-Wheel Drive Model 3 Price by $1,000 yesterday, the third time the company has updated the Model 3 AWD variant’s price in less than four months. The electric car maker left the pricing of the other two models, The Performance and Rear Wheel Drive untouched. When Tesla first started accepting orders for AWD Model 3 in June, the mid-variant was priced $5,000 higher than the cheaper rear-wheel-drive. In the last week of June Tesla dropped the price difference to $4,000, then increased it to $5000 in August. Now the difference is $6,000. The Dual Motor All-Wheel-Drive is the best seller for Model 3, registration data shows. Tesla is hunting for GAAP Profitability. Any increase in margins will be of huge help to the cause. For the third time in less than four months, Tesla has updated the price of Model 3 Dual Motor All-Wheel-Drive. The starting price of Dual Motor AWD is now $55,000, an increase of $1,000. The price increase is not significant enough to drive customers to the rear-wheel-drive model, which starts at $49,000, but certainly asks all AWD buyers if they should consider upgrading to the Performance version. When all the options are added, the Dual Motor All Wheel Drive now costs $66,500, while the base Performance edition starts at $64,000. Tesla will also be removing two paint options today, to “simplify manufacturing,” Tesla Chief Executive Officer Elon Musk said. Of the three models, the AWD is the one that has seen the most number of price changes. Model 3 customers have overwhelmingly preferred AWD over rear-wheel drive and this preference was clear long before the company started building Model 3. He wrote this in the Teslarati forum in April 2017, long before Tesla’s first Model 3 was delivered. Customer preference has always been skewed towards AWD. Though a $1,000 increase may not affect buyer sentiment in a big way, it will make a huge difference for Tesla. For every 10,000 cars sold, a $1,000 increase in price will bring an additional 10 million dollars for the company. Tesla has made several such moves in the last three months to improve its bottom-line. For cash-strapped Tesla, every million dollars that it can save will make a huge difference to its bottom-line. Tesla says that the company will be GAAP profitable in Q3 and Q4-18. The latest price increase will certainly help Tesla improve Model 3 margins and help the company shore up its cash balance.